Modified sanity system, all new writing and voice-over and 3 re-play modes. Featured in 'Wired', 'Rock, Paper, Shotgun' and 'Bloody Disgusting'! Version 2.0, the irrevocably final version. Complete with 3 re-play modes and all major bugs fixed. Fixed the issue with the looping voice-over when multiple pieces are sent up in the elevator. Thanks to Raghn Ryker and Bendigo for pointing this out. Fixed the issue with Burke not prompting the player to look upstairs after the 4th feeding, and to look for the pages after the 5th feeding. Fixed the issue with having to do another feeding to trigger the cutscene in certain circumstances. Fixed the almost impossible to get note in Seperation Anxiety. Thanks to ThatCrazyShaman for pointing this out. Reduced the likelihood of pigs sometimes getting stuck on the elevator gratings. Increased the chance of specific voice-over lines playing in the end-game, suggested by ThatCrazyShaman. Enhanced the page-turning sound between queued-up voice-overs, to make it more obvious where one note ends and the next one starts. Tweaked the end game to make it harder to accidentally get the "game over" ending. Thanks to Ashtoreth and ThatCrazyShaman for pointing out a couple of typos. Potentially ready for use with Mudbill's Amnesia mod loader (currently a work in progress). Fixed the new gate in the secret area. Fixed the issue of the cutscene playing at the wrong time (after death). Added the bat file back in which had somehow gone missing. Fixed issue with Burke sometimes respawning away from Boney. Fixed issue of sanity draining in new or designated "scary places" even when Boney is carried (suggested by SquishyTheTitan). Improved speech queue - important lines (e.g. diary pages) cannot be skipped. Boney has tweaked physics body and glows slightly in the dark. Minor updates including: tweaks making some hard to find objects more obvious; momentos from the start; couple of puzzles and scares adjusted slightly. You are no longer allowed to go downstairs unless you have Boney with you in the first instance. This is to help people out who have not yet realised the importance of Boney at that point. At least one player reported that they respawned inside the flashback after death. Added checkpoints and autosaves immediately before and after the flashback to ensure this doesn't happen. Changed the end-of-game death-hints and added end credits. Tweaked the coffin-bridge puzzle to allow for more variation and possible solutions. Changed the default loading screen and added text to the map loading screens. Added a fix for players who *somehow* get trapped in the elevators. Fixed bug that caused you to get stuck in the flashback cut-scene in certain circumstances. Fixed the batch file and installation instructions so that they now work on both the Steam and "redist" versions. Thanks to prenz and DnALANGE for suggesting the fix. Minor updates including: fine tuned the amount of insanity monologue (muttering) and split up voice-over into smaller files and shorter subtitles, based on feedback from DnALANGE; fixed a few broken subtitles and typos here and there. This game is called "The Trapdoor". The cartoon which inspired it is called "The Trap Door". The copyright to "The Trap Door" cartoon remains the property of CMTB Animation, Queensgate Productions Ltd or whoever now owns it. "The Trapdoor" is intended as a homage to the cartoon and as such was made without licence from the cartoon's copyright owners. It is not intended to appear as licensed or cannon. "The Trap Door" cartoon is a seminal piece of work that I love. If you enjoy it, please search online and buy a legitimate copy. 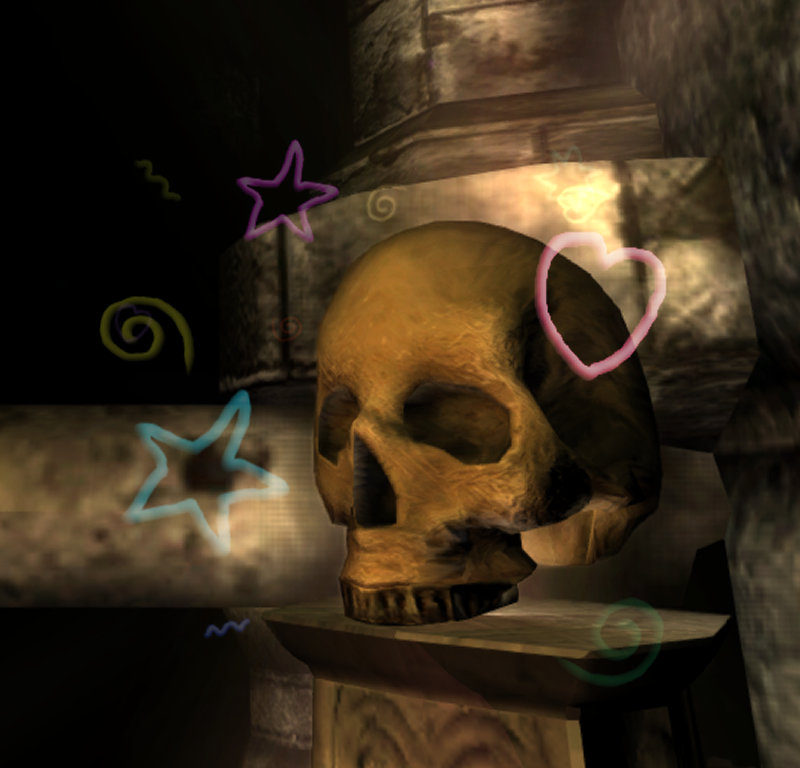 The copyright to the HPL2 engine, "Amnesia: The Dark Descent" and all content from it which has been re-used in "The Trapdoor" remains the property of Frictional Games. "The Trapdoor" is distributed freely and licensed under the Creative Commons Attribution-NonCommercial-NoDerivatives 4.0 International licence, subject to licensing for "Amnesia: The Dark Descent" by Frictional Games. In simple terms, this means you can freely distribute the game as long as: you attribute it to Aetheric Games and provide a link to Aethericgames.com; you do not sell it or otherwise make any money from it; you do not modify, remix or transform it in anyway; and most importantly you and anyone who downloads it owns a copy of "Amnesia: The Dark Descent". Where is boney located when you first start the mod? I can't seem to find him, as I am left wandering the dark halls of a castle..
Stay away from that trapdoor!